Earlier this year, reports suggested that Apple might kill its proprietary Lightning port by transitioning its next iPhone over to the USB Type-C port that virtually all Android devices (and some computers, including new Apple MacBooks) use. Such a move would be a cross-compatible dream come true, and the beginning of the end of Apple’s dongle-based hellscape. Alas, new and reliable reports suggest Lightning is here to stay. It’s a shame, but it’s not much of a surprise. After all, Apple kind of has its hands (or cords) tied. Open up a brand-new iPhone and you’ll find a pair of Lightning EarPods, a USB Type-A (the big one) to Lightning cable, and a 5-watt wall charger. That’s sufficient to get you off and running, but it’s subpar considering iPhones can take a charge at a much higher power, which tops them off faster. For that, though, you’ll have to pick up a 12-watt charger on your own. But even that isn’t the best you can do. The fastest way to charge your phone requires a charger that’s designed for USB Type-C, and to use that you’ll need a USB Type-C to Lightning cable that doesn’t come with your iPhone. It’s an obnoxious situation that could be alleviated if the iPhone went straight to USB Type-C, or if Apple changed what it packs in with a new iPhone. Unfortunately, it looks like neither is going to happen. Why? It’s not that Apple hates USB-C. The company has forsaken the Lightning port on the wannabe-laptop iPad Pro and ignored it completely on its line of Macbooks. But that’s a sensible and practical decision driven by the fact that the world of laptop accessories has more or less favored USB over more proprietary standards. In other words, Apple can’t force Lightning or any of its own standards on everybody else. In the world of mobile accessories, on the other hand, the freakishly popular iPhone and its long history of proprietary ports has given Apple outsized sway over accessory manufacturers, who are quite accustomed to making devices especially for the iPhone’s Lightning Port. Likewise, plenty of iPhone users now have a suite of Lightning accessories. Changing to USB messes all this up and gives Apple little incentive to shake up the whole state of things. Even more importantly, there are the matters of scale. Apple deals in such gargantuan quantities of iPhones that any change to the supply chain—or what comes in the box—has gigantic ripple effects. As the New York Times recently reported, Apple decided it couldn’t assemble iPhones in the United States because it needs to be close to Chinese screw factories that can whip up millions of screws at a moment’s notice to keep its supply chain taut. 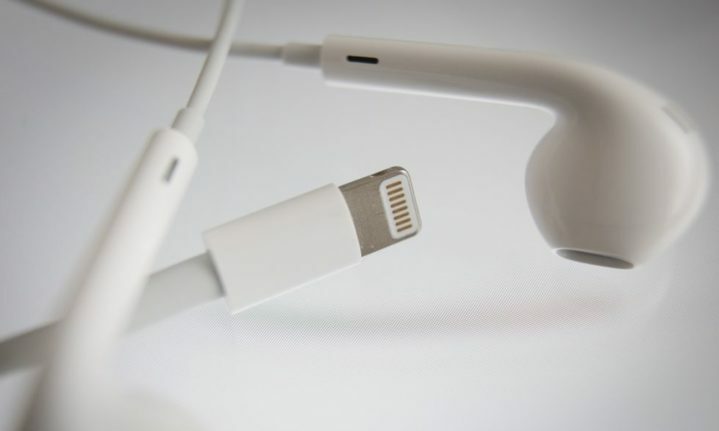 Changing the iPhone’s port would render existing stashes of Lightning headphones mostly worthless. Or, alternatively, it would require the pricey addition of a pack-in female-Lightning-to-male-USB-Type-C dongle, which doesn’t even exist. Packing in a 12-watt charger would be an easier lift, but one that would still render veritable mountains of 5-watt chargers that doubtlessly already exist basically useless. This doesn’t mean that Apple could never make such a decision, or that it never will in the future. It’s possible that the stars could align in such a way that would make that sort of upheaval profitable in the long run if not in the short term. Working at enormous scale also gives Apple the ability to work on a long timeline as well. For now, however, revenue is declining and it looks like Lightning is here to stay, if only because the conditions demand it.